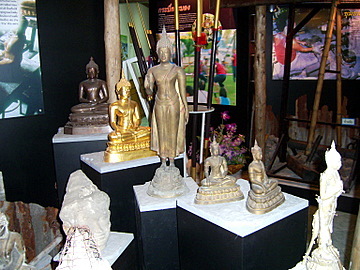 The Bangkok Noi Museum is located on the Thonburi bank of the Chao Phraya near the Bangkok Noi Canal. It’s a community museum set up by the Bangkok Metropolitan Authority to preserve the rich history of the local community in Bangkok Noi district. This community museum records an aspect of Bangkok history that’s sometimes overlooked, old Bangkok long before it was established as the capital. Bancok or “village of wild plums” existed on maps of early western traders to Ayutthaya in the 17th century. 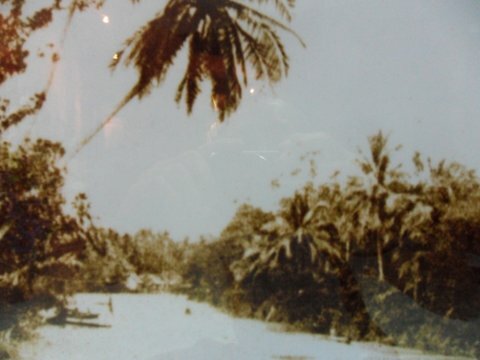 The village was located in the bend of the Chao Phraya between what is now the Bangkok Noi canal to the north and the Bangkok Yai canal to the south, which was the original course of the river. In the reign King Chairacha of Ayutthaya (1534 - 1547), a canal was cut across the base of the meander to shorten the sailing time to Ayutthaya. 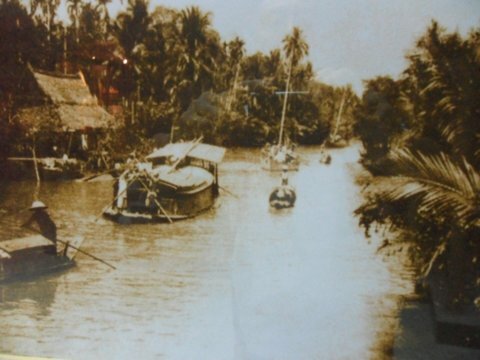 Over time, the new canal soon became the main course of the Chao Phraya and the original meander became the Bangkok Noi and Bangkok Yai canals. Bancok was now on the west bank of the new course of the river. There was also a Chinese community on the east bank on land that is now the Grand Palace. The village grew rapidly, with a port, customs and immigration center and rest area for the foreign traders sailing to Ayutthaya. After the long journey from Europe or East Asia, traders stopped over in Bancok before continuing on to Ayutthaya. The shortened distance also increased the threat to Ayutthaya by potential enemies. To counter this threat, two forts were built to defend the approaches to Ayutthaya. 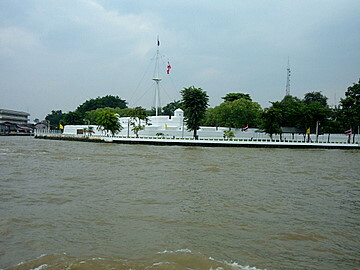 In the reign of King Narai, Fort Vichayen was built on the west bank near the port which acquired the status of a fortified city called Thonburi. 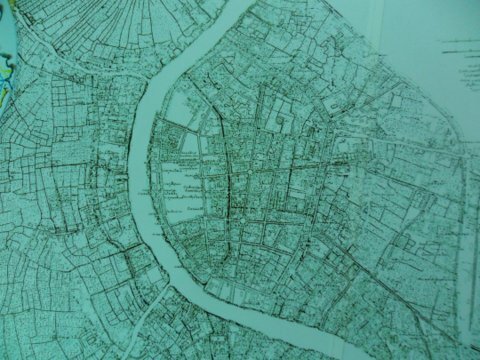 Old French records indicate another fort on the east bank near Wat Pho but nothing remains of this fort today. Back then, a chain connecting the two forts was laid on the river bed. When hostile ships approached, the chain would be raised to impede the deep keels of the old sailing ships. 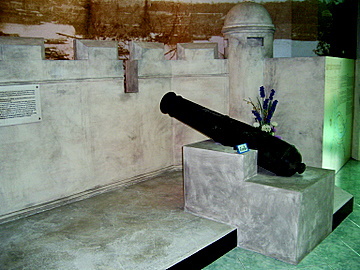 Cannon from the fort would then fire on the ships. The Bangkok Noi Museum goes on to record the history of Bangkok in the Thonburi era. After the fall of Ayutthaya, King Taksin established his capital, Thonburi in the area between the Bangkok Noi and Bangkok Yai canals. A new canal was dug to link these canals to protect the capital from the west. 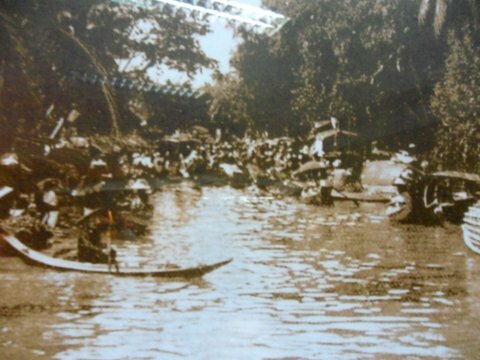 Another canal was dug on the east bank of the Chao Phraya, which later became the first canal ring in Rattanakosin. King Taksin established his palace near Fort Vichaiyen, which was later renamed Vichai Prasit. 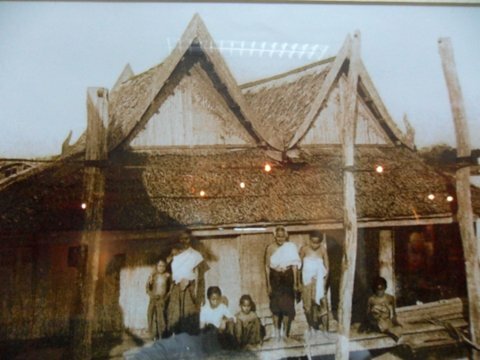 The home of Phraya Chakri, (later King Rama I) King Taksin’s ablest general, was to the north near Wat Rakhang. Bangkok Noi, part of Thonburi province, was originally called Amarin until 1916, when King Rama VI changed the name. 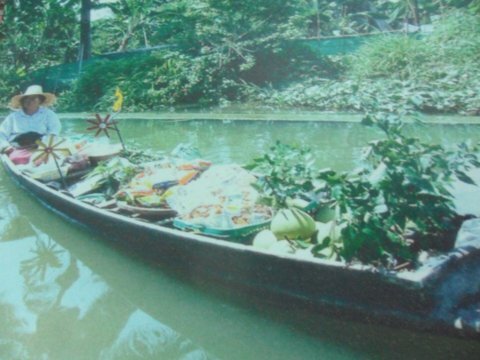 At the same time, the neighboring district of Hong Saram became Bangkok Yai. In 1972 Thonburi was incorporated into the city of Bangkok with the creation of the post of Governor. Besides the history of the area, the Bangkok Noi Museum also records the old trades undertaken by the people in the past. The area was full of fruit orchards owing to the fertile soil. Reputed to be the fruit garden of Siam, the species of durian, mon thong, chanee and karn yao are said to have originated from this area. Another old trade preserved in the Bangkok Noi Museum is the polished bronze bowl makers trade. 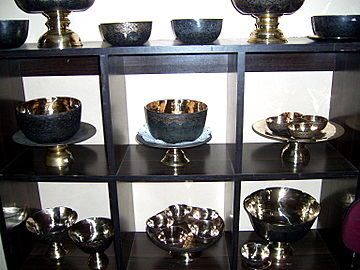 Bowls are made from an alloy of bronze, copper and tin, heated and beaten into shape, polished with designs inscribed on the surface. An old shop in the Ban Bu community practicing this trade of Thai bronzeware still exists. Today, the fruit orchards are gone. 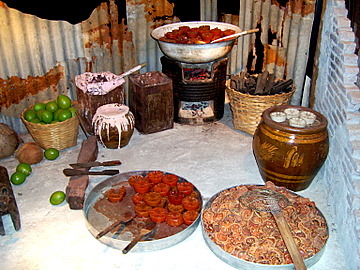 So have most of the old trades and traditional delicacies. Over time, owners have sold out to commercial interests and the area is very urbanized. Let’s recapture some of these memories. An interesting feature in the area is the Thonburi (Bangkok Noi) train station. The old station is further to the east near the Chao Phraya. 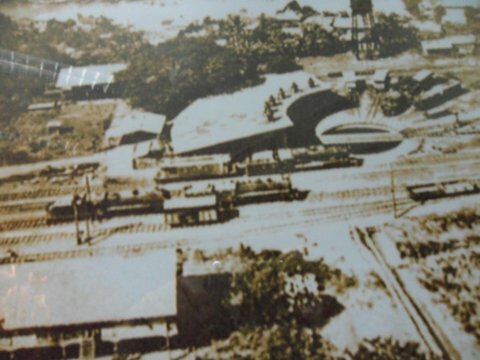 During World War II, this old station was the rail terminal for the line that ran to the western province of Kanchanaburi, linking up with the infamous Death Railway built by Allied prisoners-of-war. The Allies bombed the station to disrupt the supplies to the Japanese troops in Burma. Thankfully the old station, a prominent landmark in the area, has been preserved in the midst of all the new development around it. 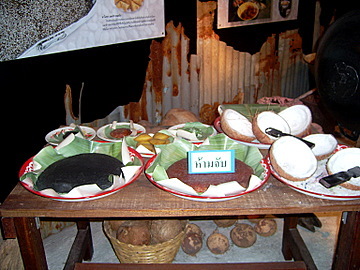 The exhibits in the Bangkok Noi Museum are about the only evidence left of the life in a community that’s a few centuries old. Cross the Chao Phraya River at the Pin Klao Bridge near the National Theater after which turn left at Charan Sanitwong Road. Go along Charan Sanitwong Road, cross the Bangkok Noi canal and you'll get to the Bang Khun Non junction with Bangkok Noi-Taling Chan Road. At Bang Khun Non, turn left into Soi Charan Santiwong 32. The Bangkok Noi Museum is about 300m into the soi on the left. 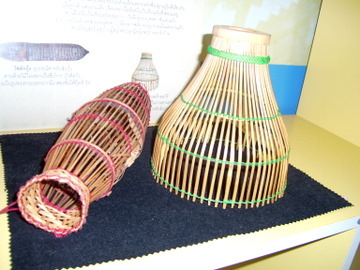 It's located in the Suwannaram Witthayakom School. The Bangkok Noi Museum is open everyday except on Mondays and Tuesdays. Admission is free. Opening times are from 09:00 am – 04:00 pm. While you're there, drop in at Wat Suwannaram, an old Ayuthaya temple that was rebuilt in the reign of King Rama III. Another interesting place is the Jiam Sangsajja Bronze Factory which produces Thai bronzeware. The factory is near the Bangkok Noi area office in the soi opposite Wat Suwannaram (the pointer on the right). 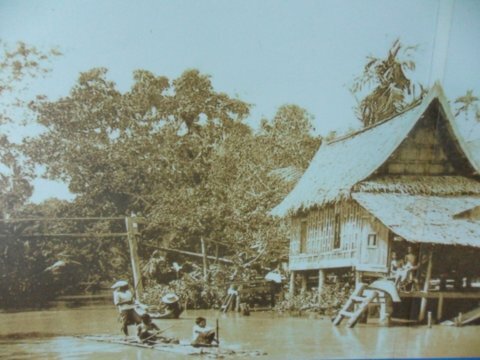 All photos are with the courtesy of the Bangkok Noi Museum.